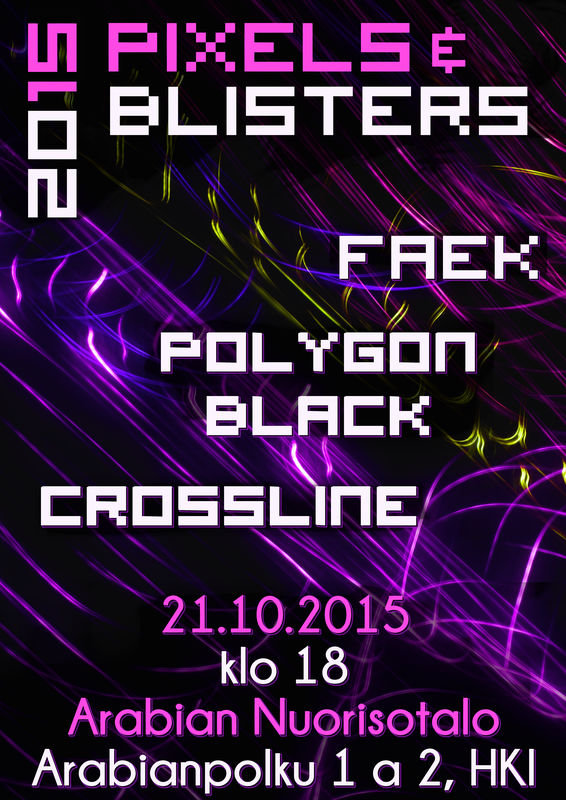 Pixels & Blisters 2015 – Polygon Black, FAEK and Crossline Live! 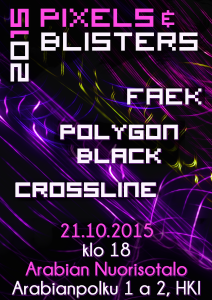 Rock’n’roll, alternative and video game metal in the middle of a dark Fall week. What more can you possibly need?